On January 8, China International Floriculture & Horticulture Trade Fair (Flower Expo China) and 24Hua reached a preliminary agreement on jointly pushing forward the development of China's imported cut flower market. 24Hua agreed to co-organize Flower Expo China 2019 by inviting global premium cut flower importers/exporters to attend the show. 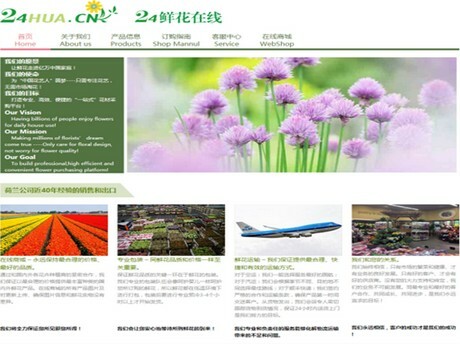 So far, Deliflor (China) has confirmed its participation as an exhibitor at 24Hua’s invitation. Flower Expo China aspires to forge the Canton Fair in Floriculture Industry, and is purposed to foster foreign trades and commercial interest in the floriculture and horticulture business. Entering its 10th year, 24Hua is one of China’s biggest and most professional online imported cut flower sourcing platforms exclusively for flower shops, floral design workshops, flower wholesalers, wedding planners, hotels etc. In its first year, over 26,000 nationwide middle-to-high-end flower shops joined the platform. The company mainly works with exporters from Ecuador, Kenya, the Netherlands, and Columbia. The keys to their success are speedy cold chain delivery, stable supply, consistent product quality, and a wide choice of varieties. Guangzhou is one of the biggest imported flower distribution centers in China with exceedingly convenient rail transportation to bring together nationwide buyers, not to mention its close vicinity to Hong Kong and Macao, both very mature flower markets with equally strong purchasing powers. Besides, mid-March happens to be in the run-up to Mother’s Day and over 20,000 florists in China will receive an invitation to the co-located 2019 China 'Florist Plus' Conference, where they will learn how to take full advantage of holiday sales booms. 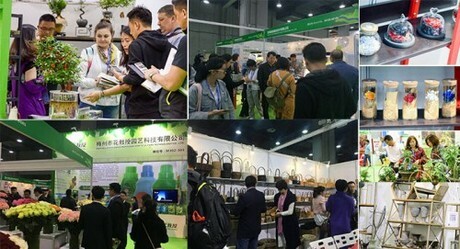 For the third time in 11 years, Flower Expo China is opening its doors to international insiders.